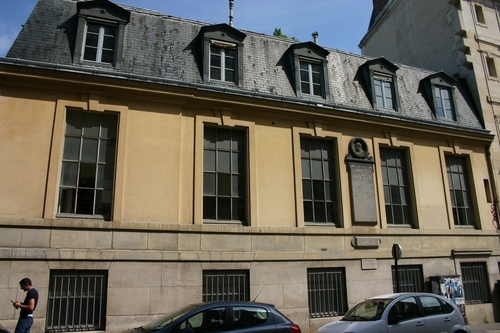 First Louis Pasteur's laboratory at the Ecole normale supérieure in Paris (Rue d'Ulm, 45), was based - from 1857 to 1860 - in a poor and cold loft and then, from 1860 onwards, in a still little but more suitable space. 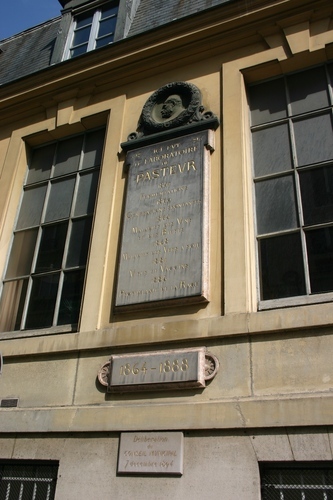 This memorial tablet of Pasteur's scientific achievements in the School has been placed on an external wall on the Rue d'Ulm by Paris Municipality in 18941. 1. 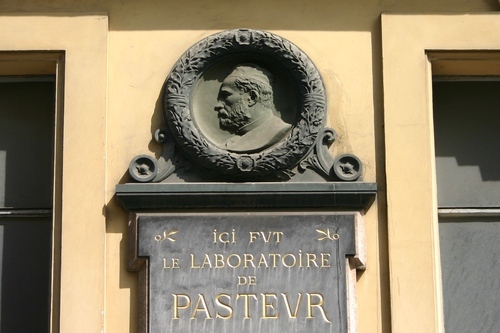 See L.Descour, Pasteur, Corbaccio, Milano 1936, pp. 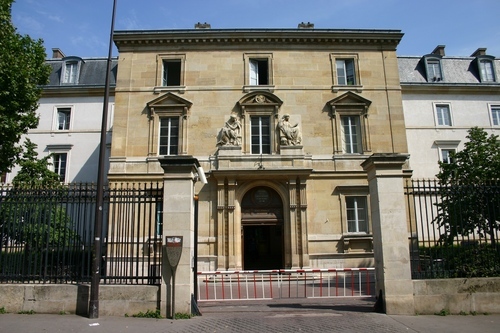 65-7, and R.Vallery-Radot, La vie de Pasteur, Hachette, Paris 1900, pp. 99 ss.